The Women’s Archives contain more than 170 archival fonds and collections related to the history of women in Canada, with particular emphasis on the feminist movement since the 1960s. Both individuals and grassroots organizations who worked to improve the political, social, and economic conditions of Canadian women are represented in this unique collection. The Canadian Women’s Movement Collection (10-001) and the Canadian Women’s Movement Archives fonds (10-002) were acquired by the University of Ottawa in 1992 and this marked the beginning of an extensive body of archival material which continues to grow. 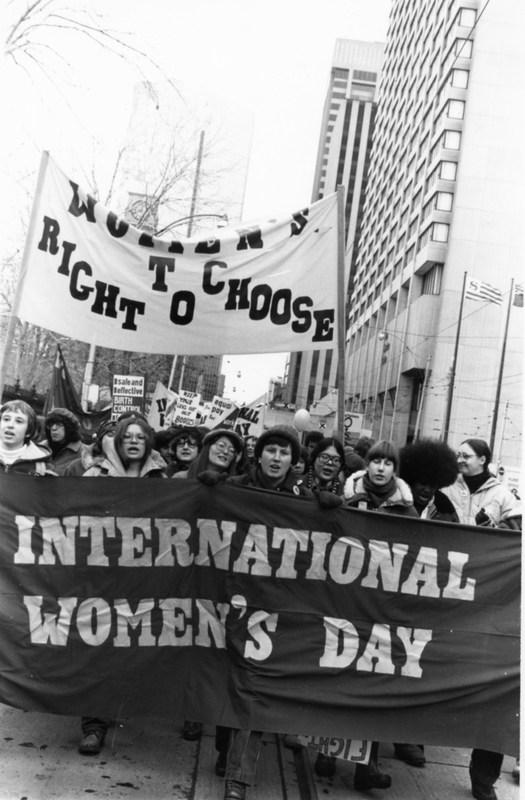 The Canadian Women's Movement Archives was officially established in Toronto in 1982 by the Women’s Information Centre. Pat Leslie, the former editor of The Other Woman, started to collect documentation about the magazine and the feminist movement in 1977. 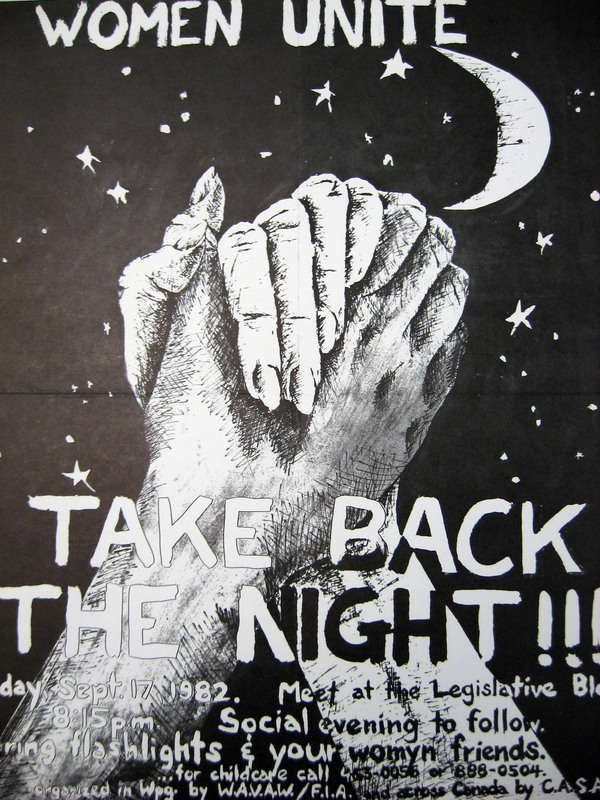 In 1982, the Women's Information Centre, led by a group of women who wanted to document feminist movement activities and history across Canada combined their efforts and sent letters to women’s organizations throughout Canada requesting copies of their publications and other documents. As a result, many groups sent their newsletters, reports, photographs, posters, T-shirts, banners, buttons, and some groups and individuals even sent their archival material. This material was donated to the Archives and Special Collections of the University of Ottawa and can be found under the Canadian Women's Movement Archives Collection (10-001). 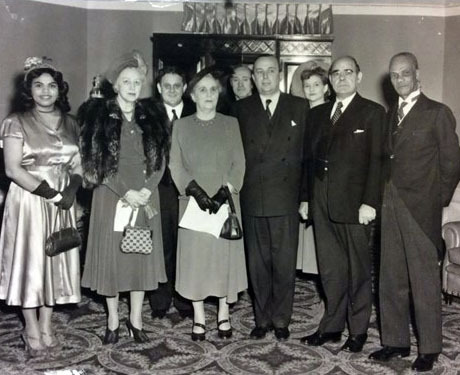 Throughout the years, more than one hundred archival fonds and collections relating to women's history and the women's movement in Canada have been added to this collection. Included in the archives are the records of diverse women’s groups such as the Healthsharing fonds (10-003), the Montreal Women's Network fonds (10-005), the Mothers are Women fonds (10-013), the Feminist Bookmobile fonds (10-015), the Bold Print Library fonds (10-019), the Wages for Housework Committee Toronto fonds (10-008), the Branching Out fonds (10-038) among many others. The archives also contain personal papers from significant women involved in the women’s movement in Canada and in various spheres of activities, including the Helen Levine fonds (10-006), the Margaret Fulford fonds (10-009), the Barbara M. Freeman fonds (10-126), the Emma Joy Crone fonds (10-021), the Lou Nelson fonds (10-034) and the Verna Rowena Conant fonds (10-010) among others. * Detailed finding aids which describe the archival fonds are available via the AtoM database, or as PDFs which can be accessed from our Research guide. 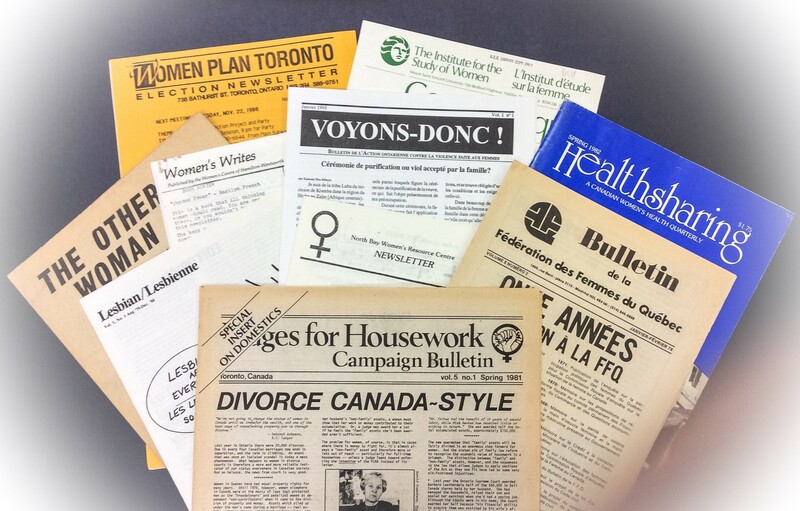 In addition, the Archives and Special Collections has the largest collection of feminist publications in Canada, comprising of periodicals and newsletters produced by feminist groups and associations across Canada. It currently stands at just over 1400 titles and includes national publications like Branching Out and Broadside, as well as newsletters from smaller groups. These periodicals represent women from diverse regions of the country and cover many subjects such as women’s health, the right to abortion, child-care services, as well as literature, art, culture, and assistance for immigrants. * Titles can be found by using the Library catalogue.